Children and young adults who start antidepressant therapy at high doses, rather than the "modal" [average or typical] prescribed doses, appear to be at greater risk for suicidal behavior during the first 90 days of treatment. A previous meta-analysis by the U.S. Food and Drug Administration (FDA) of antidepressant trials suggested that children who received antidepressants had twice the rate of suicidal ideation and behavior than children who were given a placebo. The authors of the current study sought to examine suicidal behavior and antidepressant dose, and whether risk depended on a patient's age. The rate of suicidal behavior (deliberate self-harm or DSH) among children and adults (24 years or younger) who started antidepressant therapy at high doses was about twice as high compared with a matched group of patients who received generally prescribed doses. The authors suggest this corresponds to about one additional event of DSH for every 150 patients treated with high-dose therapy. For adults 25 to 64 years old, the difference in risk for suicidal behavior was null. The study does not address why higher doses might lead to higher suicide risk. "Considered in light of recent meta-analyses concluding that the efficacy of antidepressant therapy for youth seems to be modest, and separate evidence that dose is generally unrelated to the therapeutic efficacy of antidepressants, our findings offer clinicians an additional incentive to avoid initiating pharmacotherapy at high-therapeutic doses and to monitor all patients starting antidepressants, especially youth, for several months and regardless of history of DSH." Matthew Miller, M.D., Sc.D., of the Harvard School of Public Health, Boston, and colleagues wrote in their JAMA Internal Medicine article. 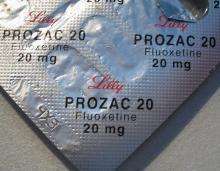 In a related commentary, David A. Brent, M.D., of the University of Pittsburgh, and Robert Gibbons, Ph.D., of the University of Chicago, write: "In summary Miller et al are to be commended on a thoughtful and careful analysis of the effects of initiating antidepressants at higher than modal doses." "Their findings suggest that higher than modal initial dosing leads to an increased risk for DSH and adds further support to current clinical recommendations to begin treatment with lower antidepressant doses. While initiation at higher than modal doses of antidepressants may be deleterious, this study does not address the effect of dose escalation," they continue. "Moreover, while definitive studies on the impact of dose escalation in the face of nonresponse remain to be done, there are promising studies that suggest in certain subgroups, dose escalation can be of benefit. Finally it should be noted that in this study, there was no pre-exposure to post-exposure increase in suicidal behavior after the initiation of antidepressants in youth treated at the modal dosage," they conclude. Let alone the 99% of mass shooters are all on some sort of anti-depressant. But it's the guns fault. Extremely violent and suicidal behavior! Im astounded. Floored. I need to pick my jaw back up. Really, there needs to be some liability suits or some kind of AMA sanctioning on all these "professionals" who think doping our children up on massive doses of psycho drugs is a great idea and the parents need to be slapped everlasting silly. Once again we end up with scientists telling us they know the deal and government using that as justification for pushing an agenda. It's gotten to where I trust a scientist as far as I can throw a politician. Surprise, surprise! You need anti-depressant - smoke some pot..... oh...wait.... it might cause to feel better.... can't do that because big drug companies can't make big bucks and give large amounts to politicians! Wake up America. Just because the big pharma "Scientits" are garbage, that doesn't mean all scientists are like that. Quire the opposite is true. This study shows an example of why the actual scientists are not important however. The only thing that matters is the actual Science. There are no authorities in science. Your stance of not trusting scientists is highly illogical. Look to the science itself. Politicians on the other hand are generally terrible people.